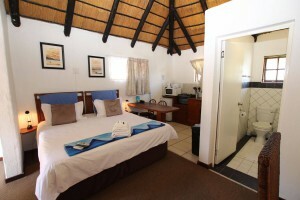 Air-conditioned suite with King-size bed (can be split into 2 singles), en-suite bathroom, fully equipped kitchenette. Sliding door entrance opens onto the communal courtyard. 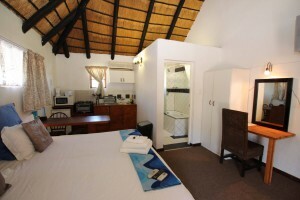 Courtyard area has table, braai/barbeque facilities. 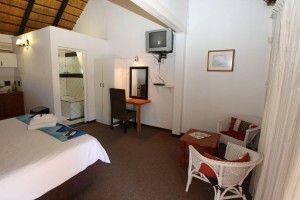 An extra single bed can be added for a 3rd person at an extra fee.